Carolyn LeCroy’s recently released book, A Parent’s Message: An Interactive Program Supporting Parent-Child Bond, has been recognized as a Finalist in the 2014 National Indie Excellence Book Awards. Our workbook, which is designed to assist children of incarcerated parents in maintaining family bonds, was nominated in the Parenting & Family category. Smarketing, LLC, which sponsors the annual awards, is based in Beverly Hills, CA. For a complete list of Finalists and Winners, click here. To order a copy of the book, click here. 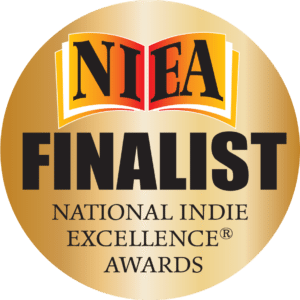 The National Indie Excellence Awards (NIEA) was created to help establish self-publishing as a proud, legitimate, and strong facet of the publishing industry. NIEA is proud to be a champion of self-publishers and small and independent presses that go the extra mile to produce books of excellence in every aspect. Books that are recognized as Finalists are in every way outstanding. The difference between the Winner and Finalist books are often so minute that the call might have gone either way.